I remember my first painting classes. When I was around 15 years old, I was invited to attend a ceramic class with my Step Mom to see if I liked it. This was a vessel she painted. Yes, I was feeling so happy to see it again sitting on the breakfast table last weekend, when we went up north to help my parents launch their boat for the season ahead. So, I couldn’t resist, I had to frame up my shot to capture the pitcher on the table, and the glow in the room. 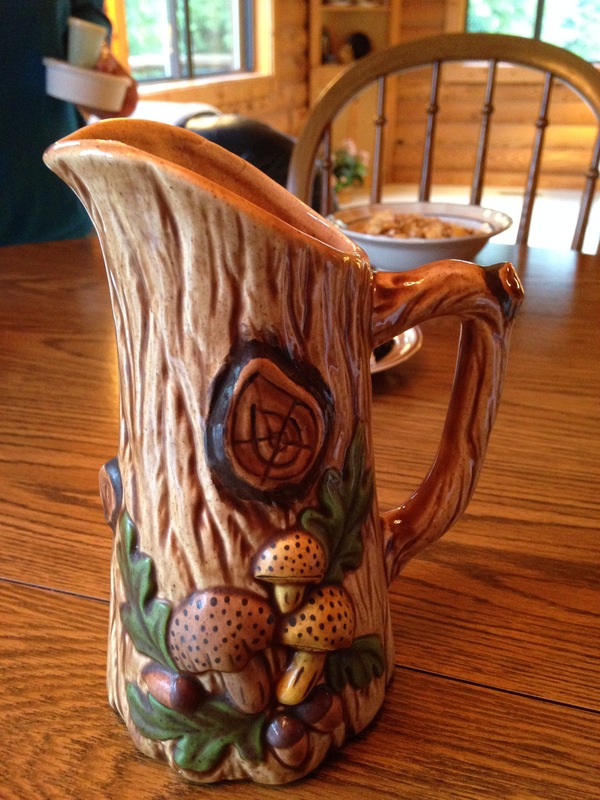 After all these years, she still has the woodland design pitcher with the yellow and brown mushrooms that she so skillfully painted. Hopefully some great memories of those classes we have yet to share. The peanut butter Cheerios tasted better than usual that morning! Thanks, Mom.